Bellway is pleased to announce that it has acquired just over 14 acres of land on Waddicar Lane in Melling for a new residential development, and that work on site is now underway. The development, which is adjacent to Rainbow Park, will be known as Rainbow Fields. It will comprise a total of 149 new build homes. The housebuilder will provide a mix of two and three bedroom semi-detached properties as well as three and four bedroom detached homes, and just two semi-detached bungalows. 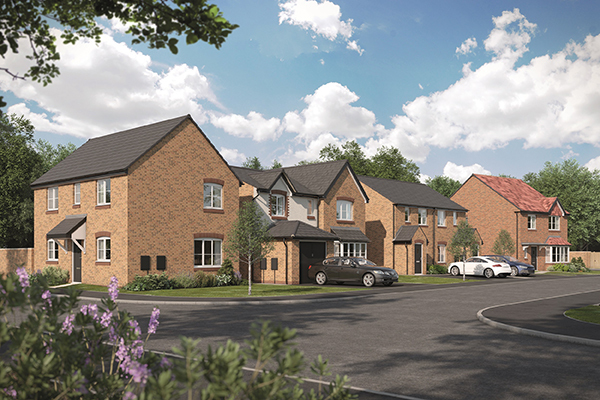 Bellway will also introduce a couple of new house types at Rainbow Fields; the Waddicar and the Melling, both of which are spacious two bedroom semi-detached homes with en suite facilities and dressing rooms. All properties have been designed with modern lifestyles in mind and will appeal to first time buyers, families and those looking to downsize. In addition to the new residential development, Bellway Homes will make several significant financial contributions in the locality, including an Education Provision Contribution of £317,243 to Melling Primary School, improvements to Rainbow Park to the value of £50,000 and the provision of a new bus stop on Waddicar Lane. Work on the roads and sewers on site has started and construction of the first plots is currently underway. Bellway will officially launch the development next month and the showhomes are scheduled to open late summer. For further information or to register your interest in more information on this development when it is available, please contact Bellway Homes on 0151 486 2900 or visit www.bellway.co.uk.